Along with the potato and the tomato, one of the New World’s most significant gifts to Old World agriculture was the vine louse phylloxera. 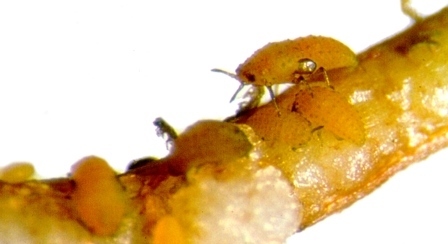 Every wine lover knows that those tiny root-sucking aphids devastated European vineyards, starting in the late 19th century. Most wine lovers also know that all European vines now grow grafted onto largely phylloxera-resistant American root stocks. That, however, is wrong: Most European vines are so grafted, but not all. 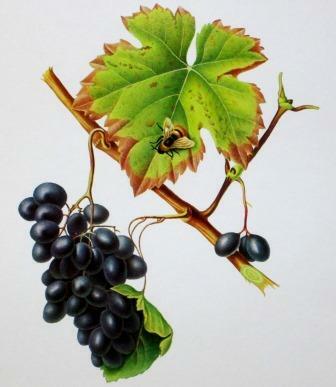 The spread of phylloxera through Europe was gradual and uneven, and pockets of phylloxera-free vines have survived in a number of areas, notably Italy and Portugal. The intermittently authoritative Oxford Companion to Wine mentions Hungary (the plain), Listel on the French Mediterranean coast, only one region of Portugal, and Italy not at all – that last an omission all too common in British writings on wine, and one of its most serious flaws. You may be wondering two things: How did those vines survive? And, does it make a difference? I’ll answer the second question first: You bet it does! The Oxford Companion observes, in its most condescending manner, that “the uneducated even today” worry that grafting European vinifera vines onto the roots of American vines will affect the taste of the wines produced. That uneducated class includes me for sure, and some substantially more authoritative souls as well – André Tchelistcheff for one. Years ago, I had the opportunity to ask Tchelistcheff that very question, and he assured me that the grafting made a very big difference. 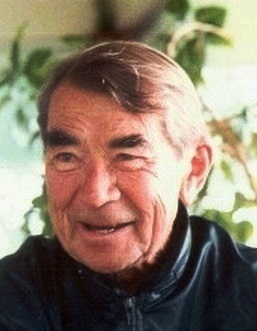 He cited as an example pre-phylloxera Bordeaux, which he said was very different from what Bordeaux wines are now. 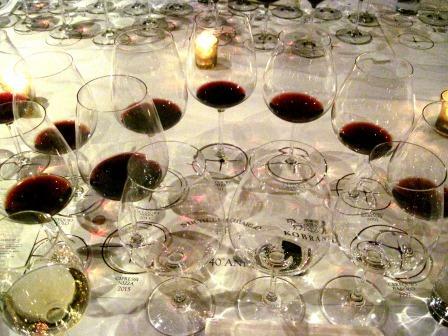 For his palate – and that is a palate I would not lightly disagree with – vines on their own roots always showed greater varietal intensity and a more firmly distinguishable varietal character than the same grapes on foreign root stocks. Common sense of course suggests that that the vine’s root should influence its fruit, but I am even more persuaded by the experience of my own tastings of wines vinified from vines never affected by phylloxera and cultivated on their own roots. 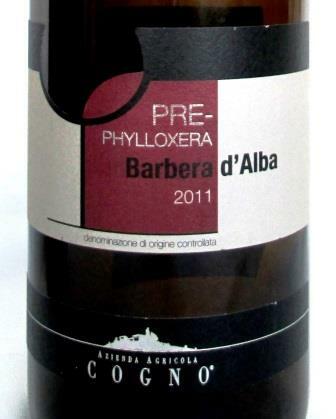 Most recently, at a dinner with some friends I tasted Cogno’s Pre-Phylloxera Barbera, and an extraordinary experience it was. Barbera is always a fruit-forward, acid-driven wine, but this bottle of 2011 was fatter, rounder, more intensely fruity, with a vivid berry-like character far more marked than I had ever experienced in a Barbera before. And we all agreed that at four years old, this bottle was still too young to really show what it had: There were depths still to develop. 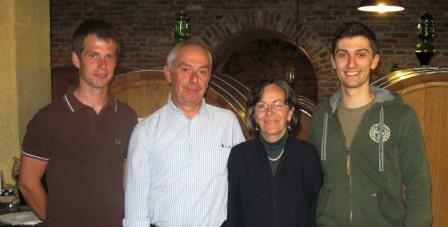 It was just an amazing bottle of wine; no wonder winemaker Valter Fissore dedicated it to his father-in-law, Elvio Cogno. 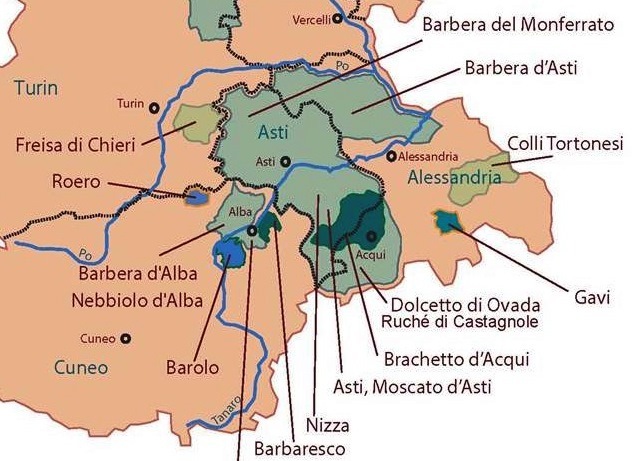 The Alba area, where the Cogno vineyards are located, is a bit far north in Italy to find phylloxera-free vineyards, though Marcarini also produces one, a Dolcetto, Boschi di Berri. 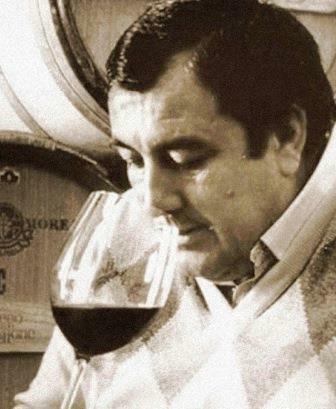 It was first vinified by Elvio Cogno when he was the winemaker at Marcarini (now you see the point of Fissore’s dedication of his wine). The great majority of such sites (at least so far as I know now) occur in Campania, where Feudi di San Gregorio has undertaken a project called I Patriarchi to identify those vineyards and hopefully have them registered as some sort of national treasure or agricultural patrimony. 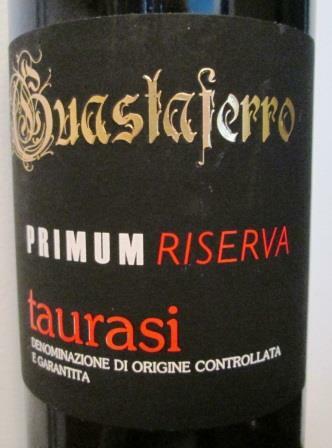 Guastaferro, whose wines I have written about several times here, cultivates 2½ hectares of over-150-year-old Aglianico vines, all pre-phylloxera and all still on their own roots; I find the Taurasi he makes from them outstanding for its intensity and purity of line. 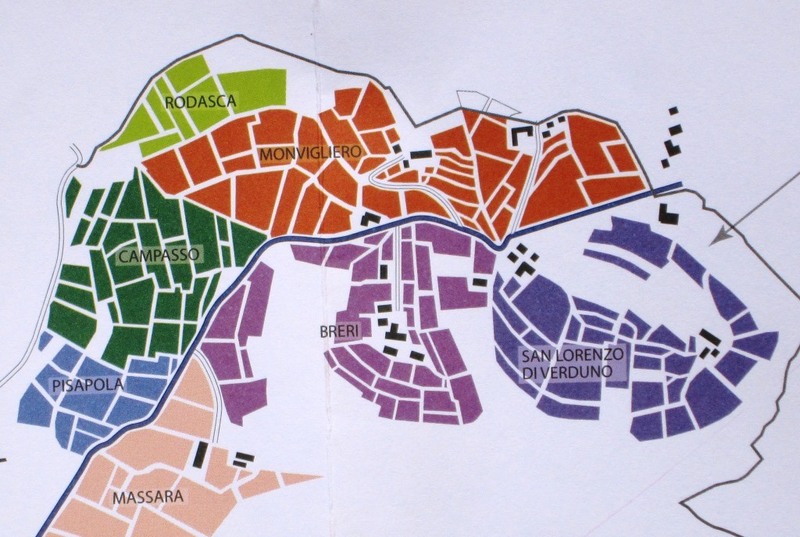 In the Benevento area, Pallagrello Nero, Palagrello Bianco, and Casavecchia have been re-established from a few surviving pre-phylloxera plantations. 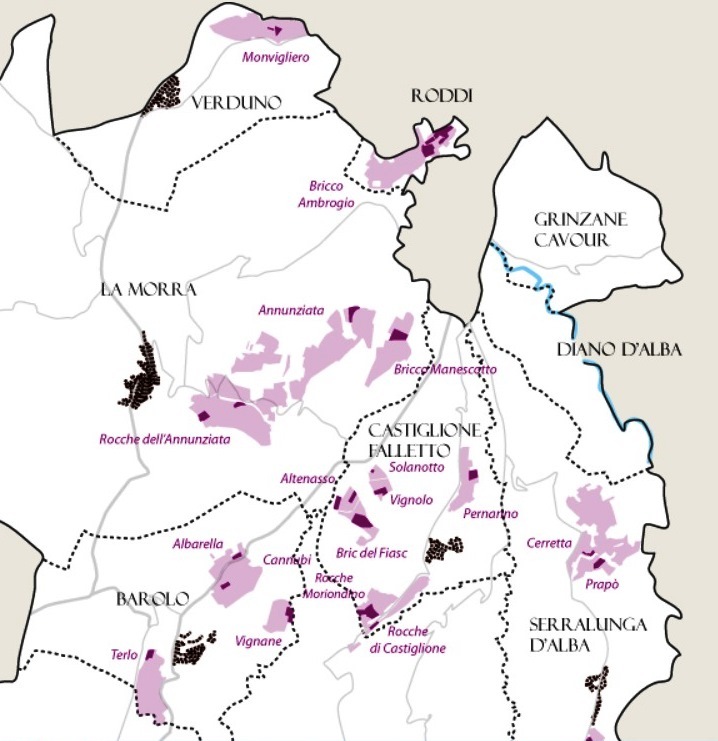 Many of the wines from the Campo Flegrei zone near Naples are vinified from the abundant pre-phylloxera vines surviving in that area. 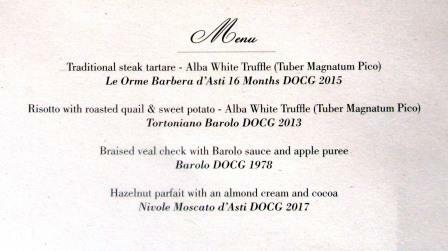 That includes, by the way, both whites (usually Falanghina or Coda di Volpe) and reds (usually Piedirosso). Local growers don’t make a big fuss about it, because for them it’s a fact of life, the way things have always been. How these vines have survived is relatively easy to explain: sand. The phylloxera louse can’t survive in sandy soils, and fortunately vines can. (Tough critters, vines, and highly adaptable; and so, often, are their progeny: Remember that the next time someone tells you that wines are living things, and therefore delicate. Wines, like vines, can be tougher and more durable than many people think.) 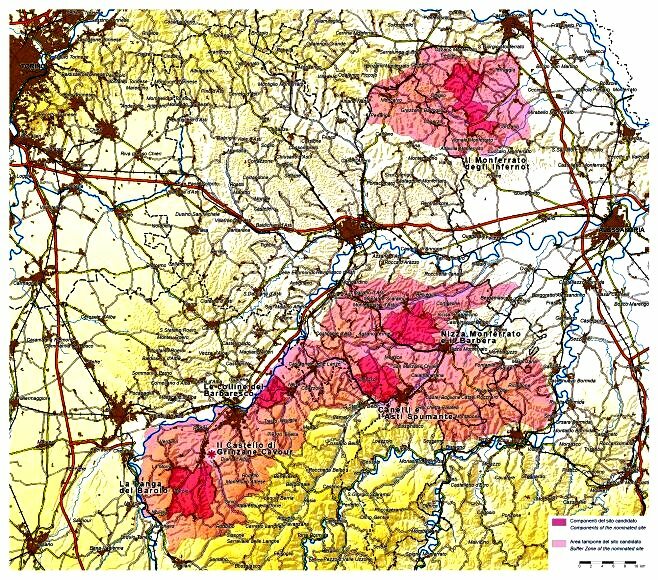 Phylloxera lice also don’t like many volcanic soils, especially those rich in sulfur – and Italy has a lot of those, in some cases even overlapping with or interwoven with sandy soils, especially in Campania. The result is exactly what you might expect: many areas of vineyard, some small, some quite extensive, that have never been touched by phylloxera. Why haven’t we heard about these vines before now, if – as they had to be – they were sitting there all along? That’s a very difficult question to answer, and I can only hypothesize. 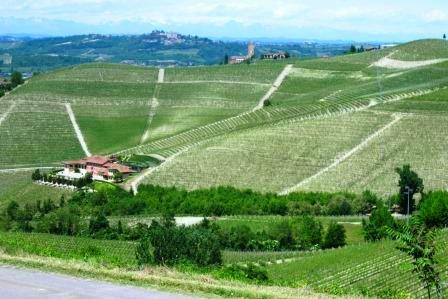 I can tell you this: Over 30 years ago, I had an assignment to write about old vines in Italy, and I couldn’t do it, because winemakers were unwilling to talk about them. 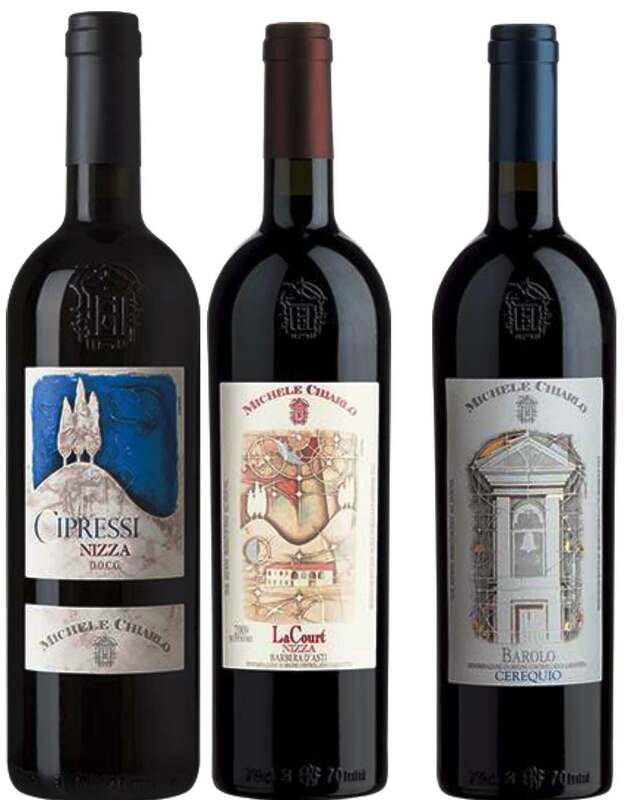 This was a time when Italian winemaking was undergoing tremendous changes, with many regions scrambling to adopt modern equipment and modern viticulture. 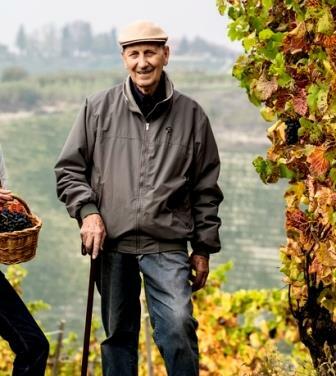 There was a widespread frenzy of re-planting “on modern principles.” And I can only shudder at the number of priceless old vines – of who knows what grapes? – that may have been torn up in those years. People with old vineyards, I think, were reluctant to talk about them because they didn’t want to be thought old-fashioned and behind the times. When all your neighbors are ripping out those old peasant varieties and replanting densely with Cabernet and Chardonnay, only a dumb cafone would keep them, right? 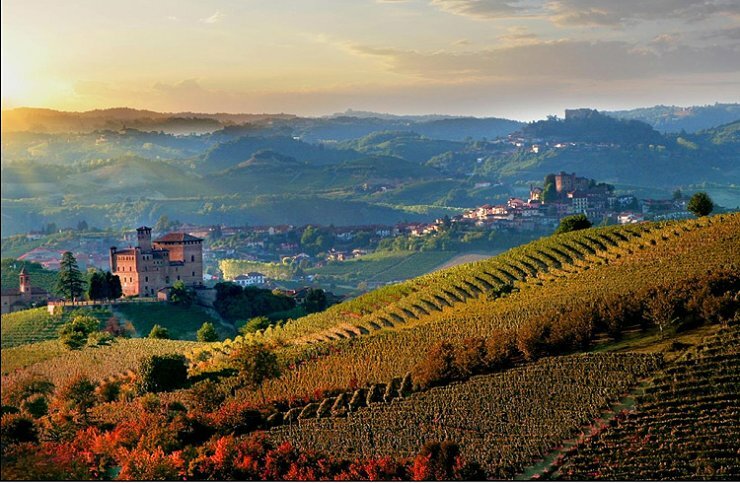 It has taken Italian winemakers a long time to overcome a sense of inferiority in the face of the reputation of France and the technology of California. 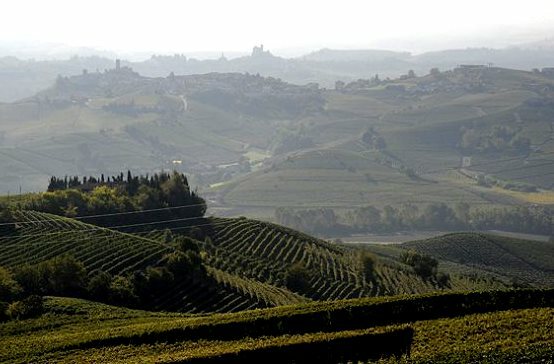 Now an awareness of the richness of Italy’s vinous patrimony has arrived, and with it a new pride in the hardy surviving vines that form so valuable a part of that patrimony. I only hope it keeps on growing, and that we will hear about yet more precious old vines surviving in yet more parts of the vast vineyard that is Italy. It was very hard to find a bad wine, even a mediocre one, among the 2010 new releases that I tasted in Alba back in May, so that made my afternoon visits to individual producers (the blind-tasting sessions ran all morning) very pleasurable indeed. 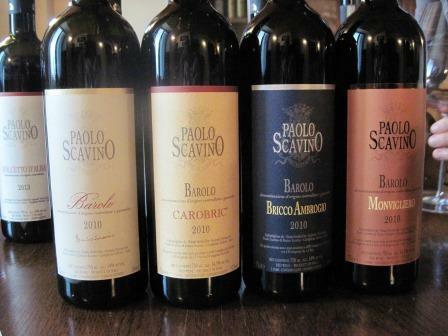 One that I particularly enjoyed was to the Paolo Scavino estate, where Elisa Scavino treated me to their whole gamut of Piedmont wines. Scavino is a fourth-generation, family-owned producer. Scavino family. Elisa is second from left. 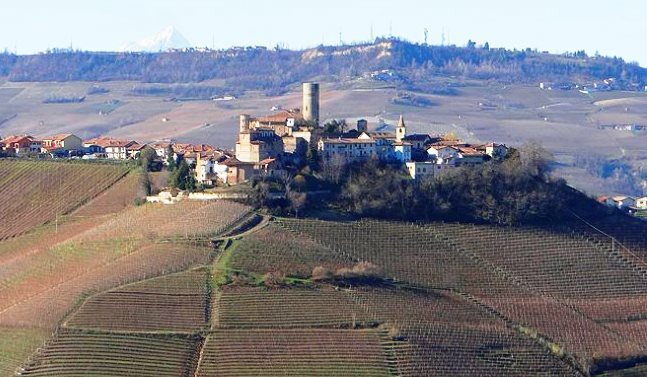 The winery and family headquarters are located in Castiglione Falletto, but the Scavinos own pieces of 19 different crus, scattered through the many communes of the Barolo zone. 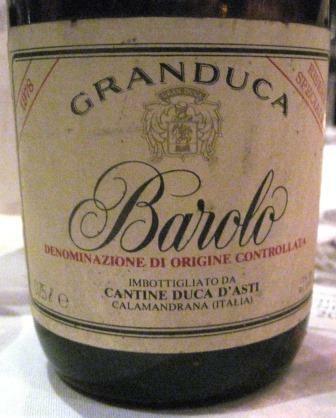 Barolo Rocche del Annunziata (the great La Morra cru). 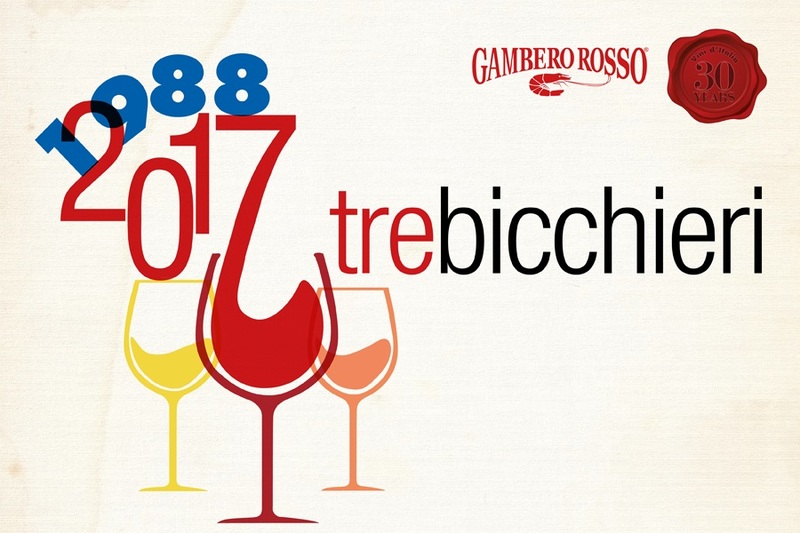 In addition to those, the family also makes the classic Piedmontese gamut: a white (atypically vinified from Chardonnay and a little Viognier), Vino Rosso, a simple red blended from young vines of typical Piedmont varieties, plus Dolcetto, Barbera, and Nebbiolo Langhe. So, as you can easily understand, these necessitate many small, separate vinifications. 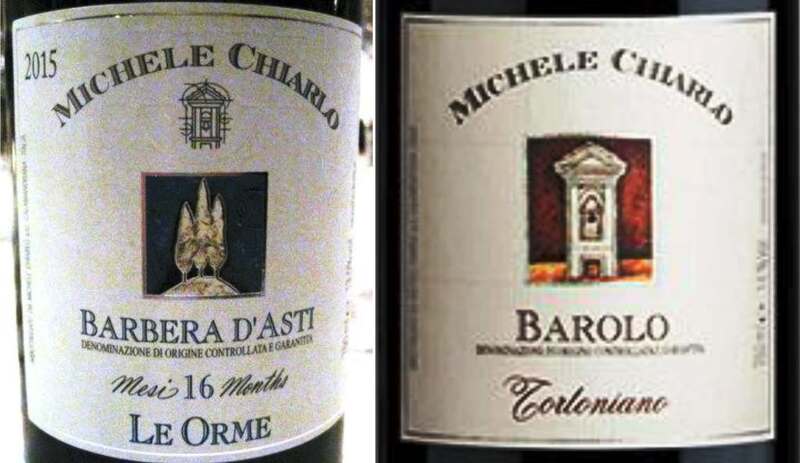 All the “simpler” wines – in Piedmont, it’s always wise to say “simple” in quotation marks – are fermented and aged only in stainless steel, while all the Barolos undergo malolactic fermentation in used barriques and later age in large botti, to finally rest for some months in stainless steel before bottling. 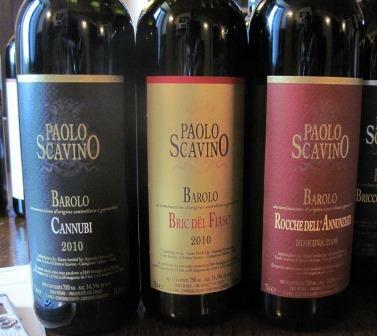 Here are the wines I tasted, with my impressions and some of the remarks about them that Elisa Scavino made as we tasted. Sorriso 2013: A refreshing white wine (especially after a whole morning of young Nebbiolo), with a lovely Viognier nose, lively and friendly on the palate (apple and quince notes). Quite enjoyable. 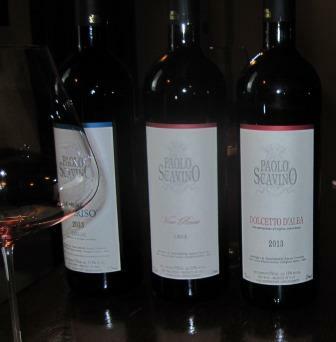 Elisa says this wine began as a project for the family’s use and only gradually grew into a wine for the portfolio. 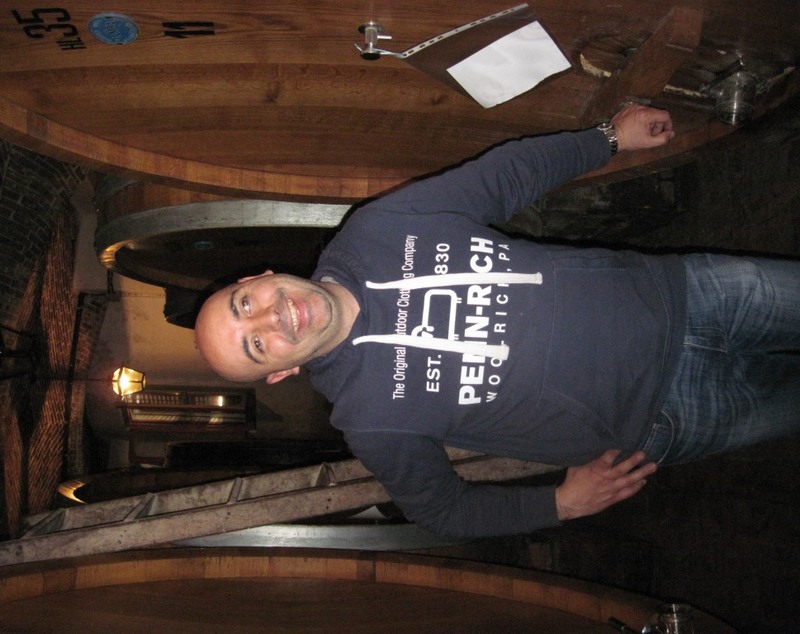 Slow, low-temperature fermentation, and no malo, in order to preserve the bright acidity. This was the last wine I tasted that afternoon. 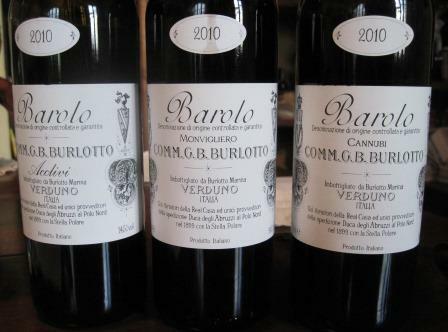 I couldn’t imagine a better way to end a visit in Piedmont, with this majestic Barolo serving as the capstone of an impressive array of wines, consistent from start to finish in style and quality.